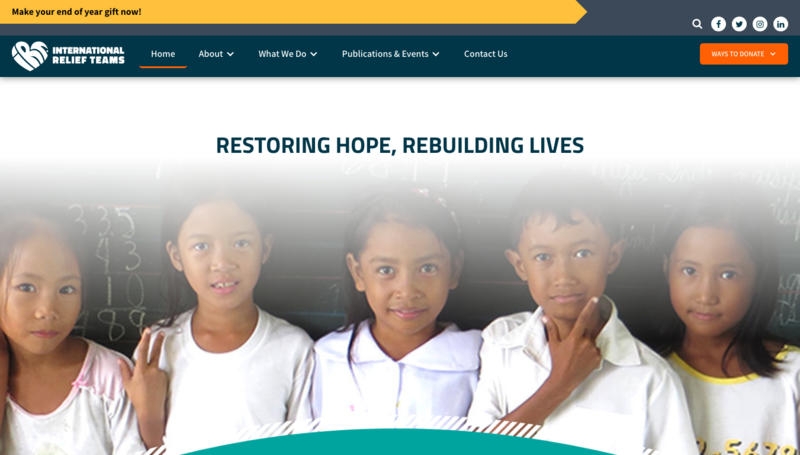 International Relief Teams needed a redesign of their website and also wanted it on an easier CMS. Completely migrate the site's data from Drupal to Webflow CMS and redesign the front-end. This was a huge project that needed a quick 3 month turn around. Thankfully the Webflow CMS was mature enough at the time to give me and this client everything we needed to make this happen. The client was paying a lot for hosting and maintenance of their site on Drupal. For the client, Drupal became a very confusing platform to work with.